There are a lot of birthdays in our family this month and birthdays mean birthday cake...yippee! 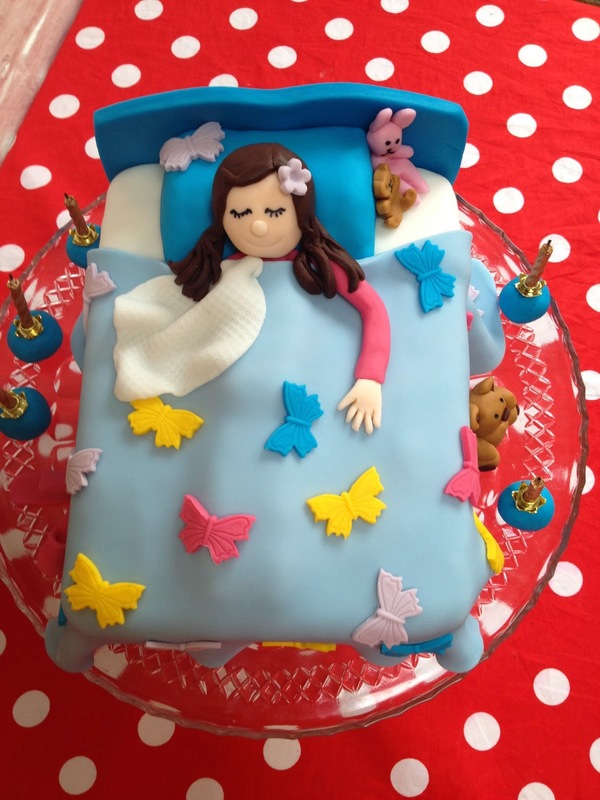 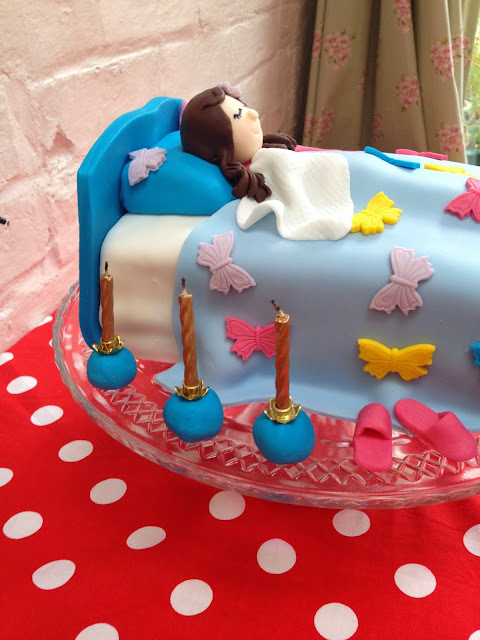 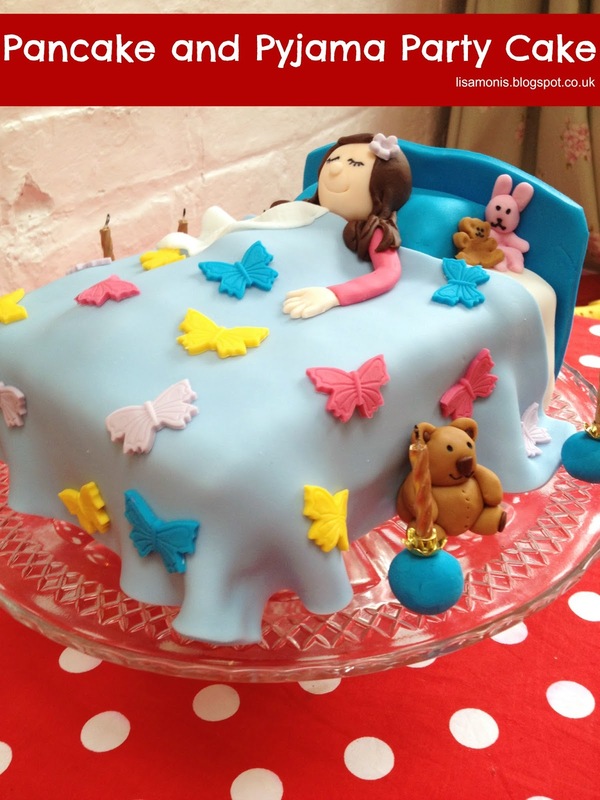 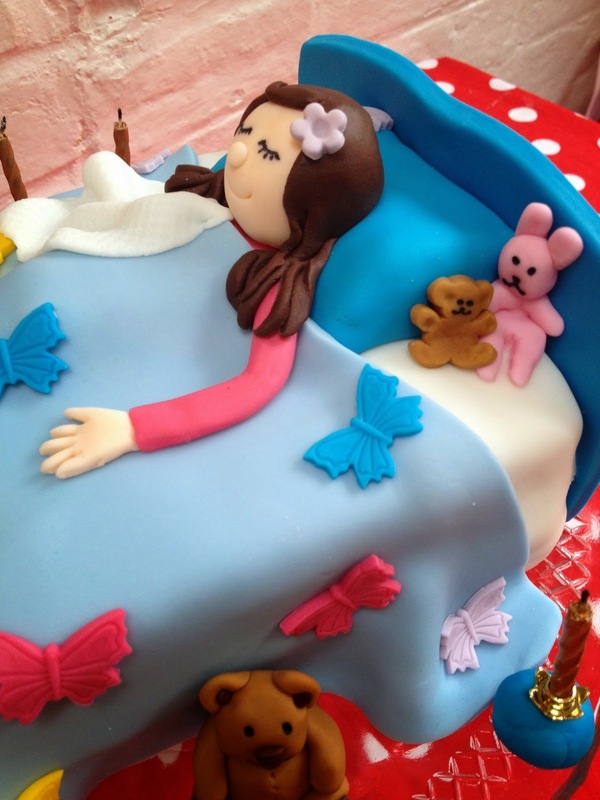 Miss E had a Pancake and Pajama themed party and so I created this sleepy cake with Miss E in bed with her Teddy Weddy and pink Rattly Rabbit. Miss E always has a blanket to take to bed so this had to be part of the cake as well! 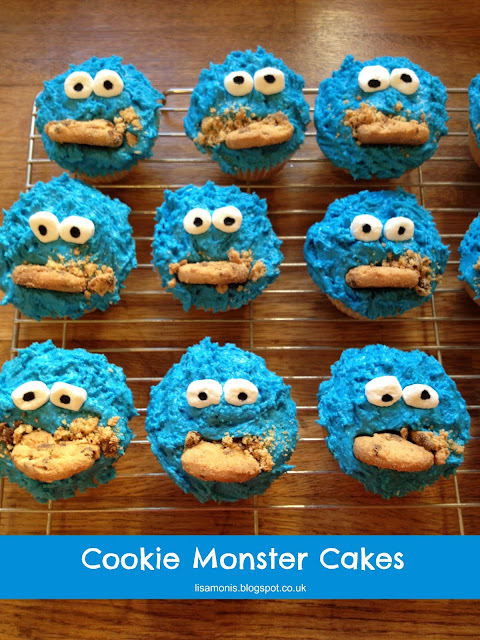 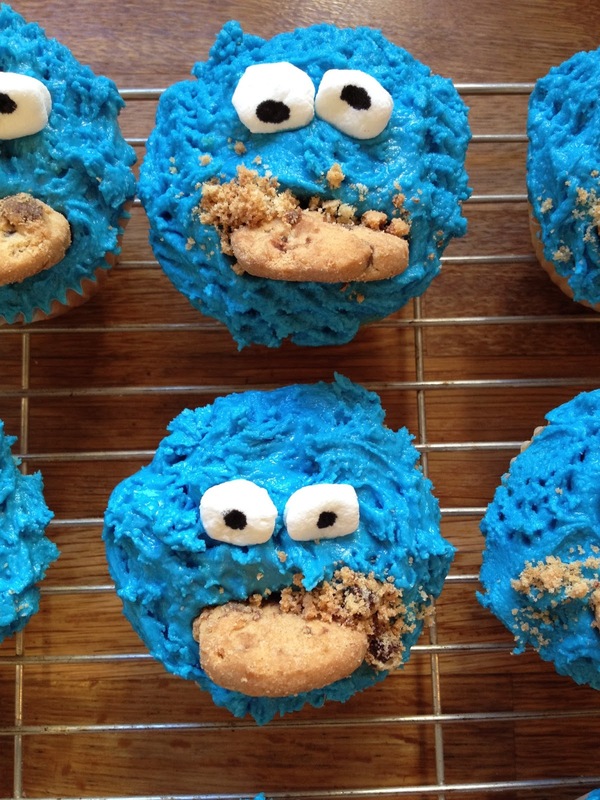 These Cookie Monster Cakes were just a bit of fun really for my birthday as I knew the girls would love them plus they were pretty quick and easy to make....and even quicker to eat! 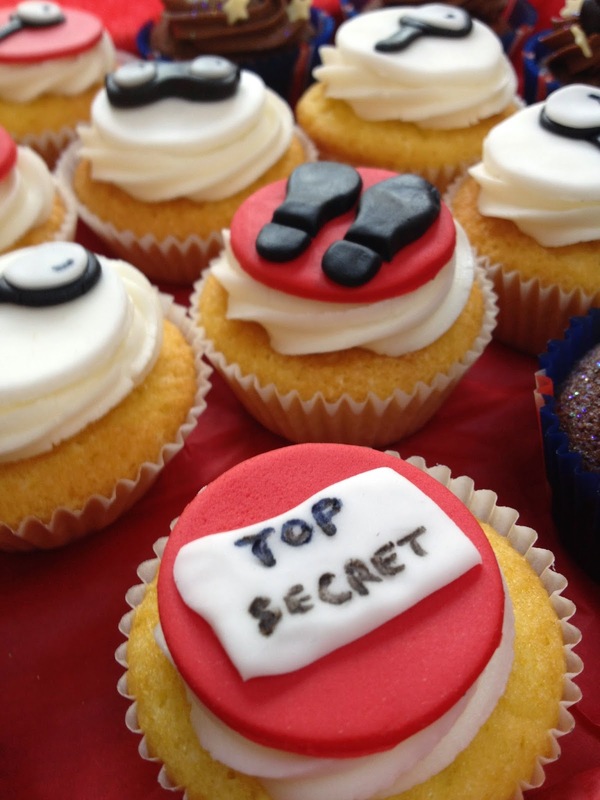 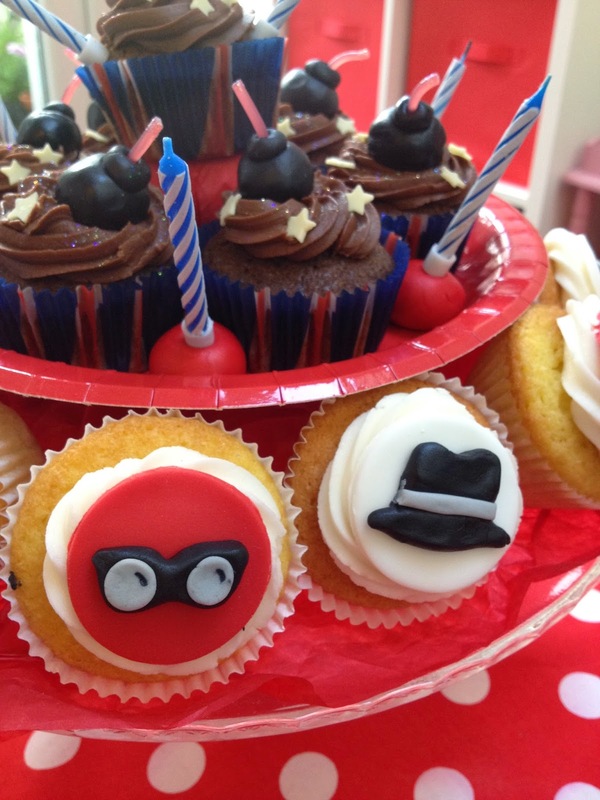 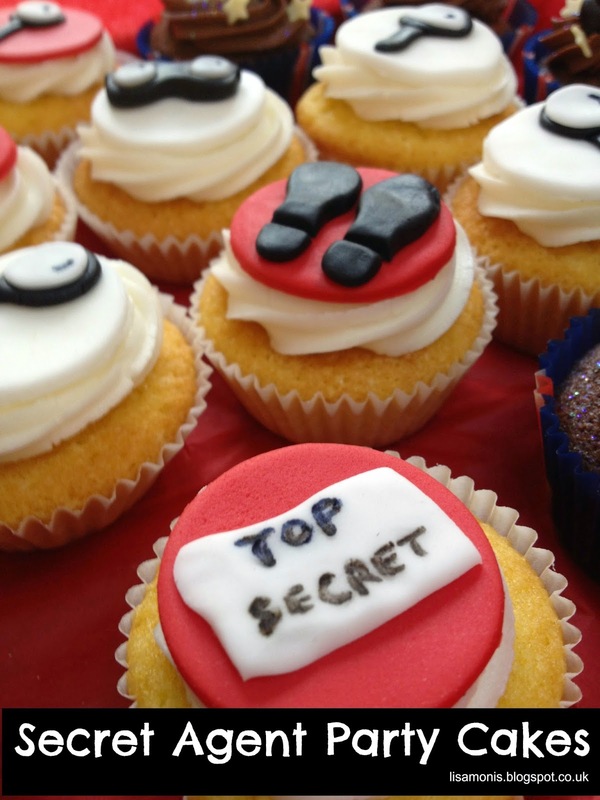 Miss M had a Secret Agent party where we turned the house into a Secret Agent Training Academy. 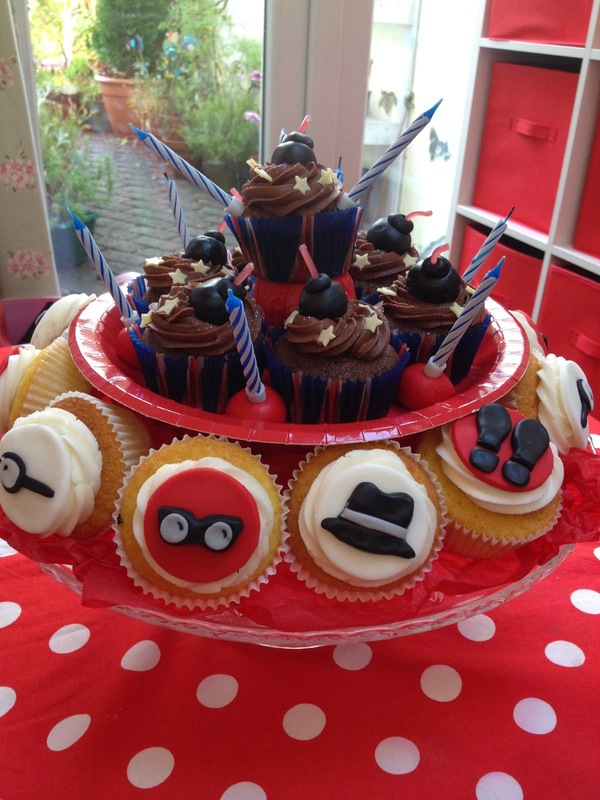 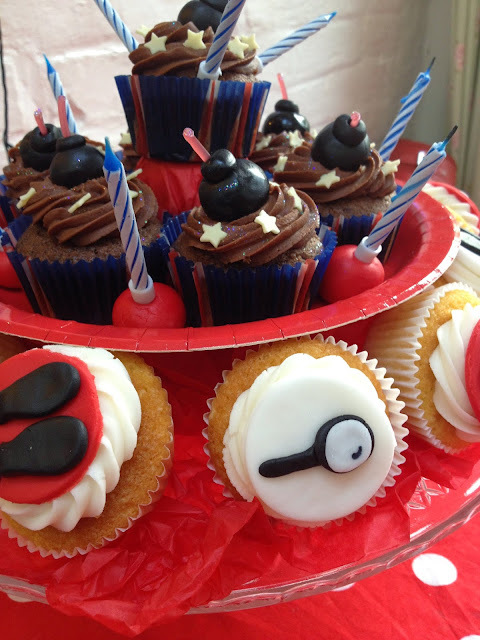 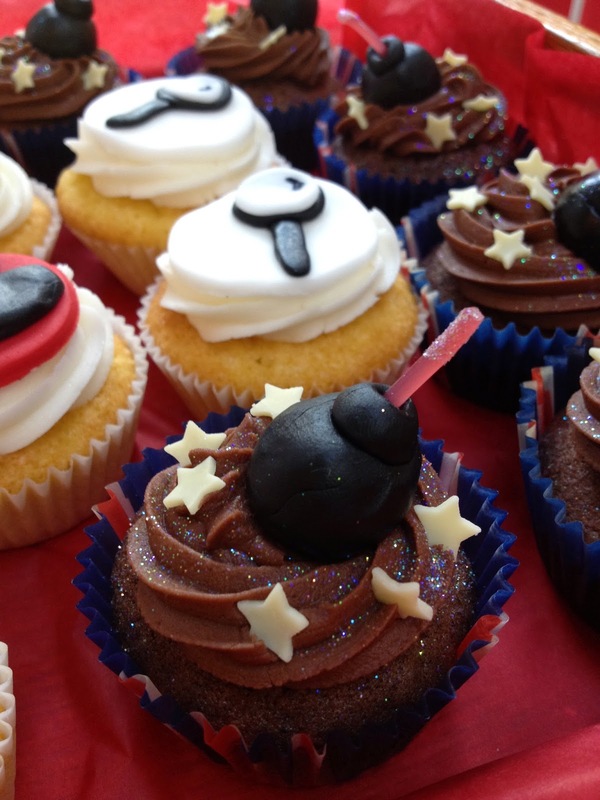 Miss M had decided that this year she wanted cupcakes rather than a big cake. 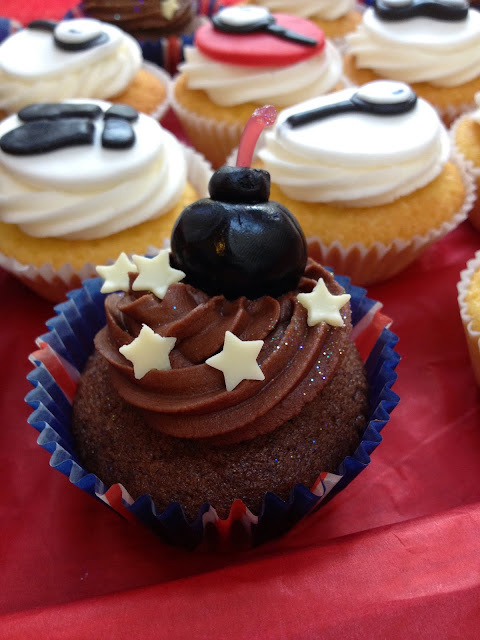 I decided to mix in some chocolate cake bombs which were very popular and quite frankly a lot less fiddly than the secret agent cakes....and a good excuse to get out the edible glitter!